The main sticking point between commissioners was the percentage the commission’s current harvest policy allocated to Canada’s lone regulatory area. 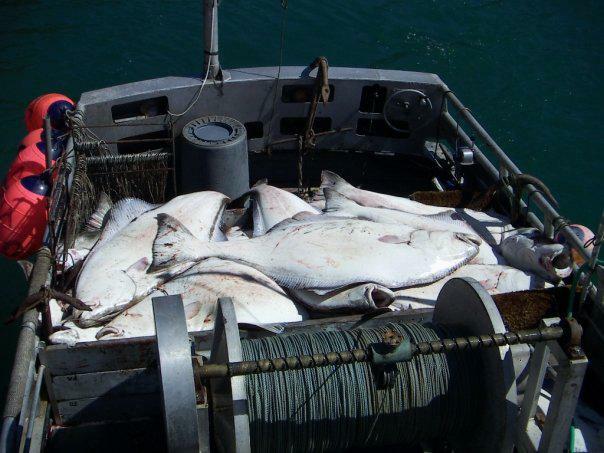 The policy suggested that Canadian fishermen should harvest roughly 12 percent of the commercial catch along on the West Coast in 2019. In recent years, Canadians have taken home roughly 20 percent of the catch, a number U.S. commissioners say is too high. Oliver detailed the new agreement to set catch limits in Canadian waters over the next four years, which is when the commission is likely to revamp its harvest policy. The Canadian catch limit will mostly be determined by the recent historical average in area 2B and partially by the IPHC’s current harvest policy. That leaves Canadian commercial fishermen with about 5.1 million pounds in 2019, a slight decrease from last year. Overall, U.S. and Canadian commercial fishermen will be allowed to harvest nearly 25 million pounds, a roughly 6-percent increase over 2018. The commercial harvest limit in Southeast Alaska will stay relatively flat at 3.6 million pounds. “We elected to move some of the fish from the other U.S. management areas into 2C to get them back to the level it was the previous year, basically in the interest of stability,” Oliver added. Area 3A in the central Gulf of Alaska will see a modest bump with a roughly 8 million pound commercial limit. This year’s season will run March 15 through Nov. 14.